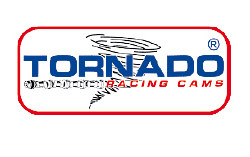 TORNADO Racing Cams will cause a storm in your engine as well! The optimum decision for your motor if you're looking for additional power in extreme situations. 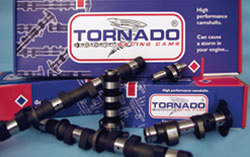 Thanks to their high quality and favourable price-performance ratio, TORNADO camshafts have earned a good reputation on the international market. Winning many races has proved us right. 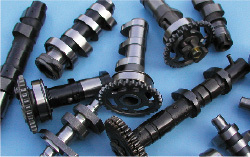 Using the latest software, we are able to develop and manufacture special camshaft-profiles in a short time. Our flexibility is based on our capability to offer racing profiles for even the latest models. for example, valves, valve springs, valve guides, valve seats, cam sprockets..., are very important for the different cam profiles.